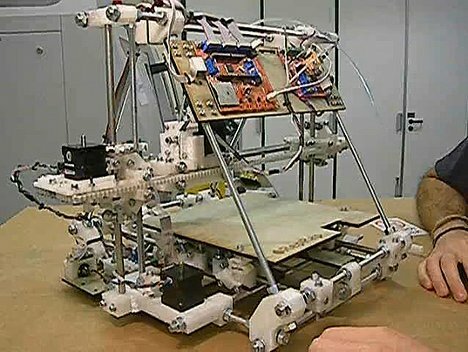 One day we’ll look back on our current shopping practices and say “Remember when you could only buy stuff that other people thought of and made?” Because 3D printing is revolutionizing the manufacturing process, making it not only possible but actually easy for anyone to design and build a virtually endless array of plastic, metal and ceramic items. And recently, the technology even made it possible to start printing in the most important material of all: chocolate. 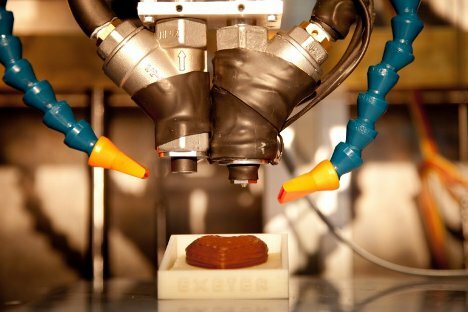 Research into 3D printing with chocolate has been ongoing at the Engineering and Physical Sciences Research Council. The team found chocolate to be an ideal material to work with since it melts easily, is inexpensive and can be re-melted so there is little to no waste. Melting and tempering the chocolate at the right temperatures is a challenge, but one that can be overcome. The goal of the research is to revolutionize the online chocolate-shopping business. 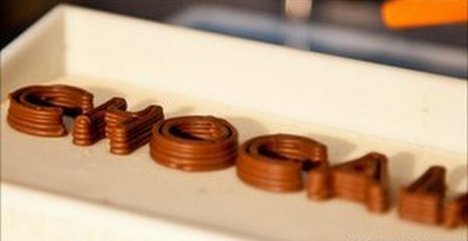 Rather than choosing from a selection of ready-made confections, users can design their own treats and upload them so that a 3D printer can bring those ideas to sweet, delicious life. Even shapes as complex as a human face can be printed in detail (although watching Mom eat her own face on Christmas morning might be a little weird). As more industries get on board with 3D printing technology, we may eventually see bespoke designs overtaking mass-produced products, creating an entirely new retail environment. See more in Industrial Design or under Technology. January, 2012.